This project included the installation of a Pre-Patinated copper batten seam roof. 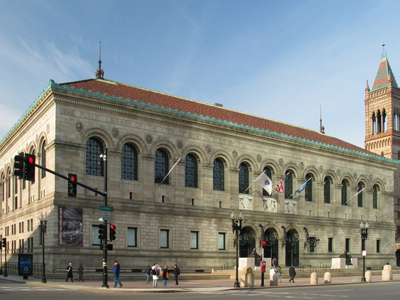 A large tile and copper restoration project. This high profile project included new custom molded tile to replicate the existing historic tile, restoration of the copper cheneau and Included the installation of over 9 tons of copper. 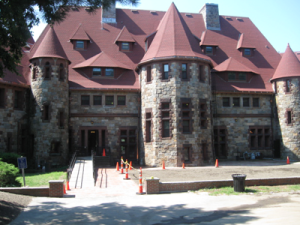 A new construction project including copper gutters and synthetic slate roofing. 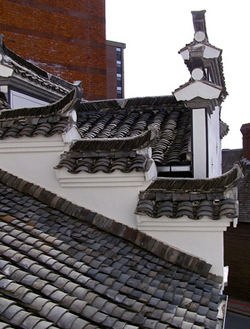 The Yin Yu Tang house is a late 18th-century Chinese house from Anhui province in China that was dismantled in its original Chinese village and re-erected at the Peabody Essex Museum. 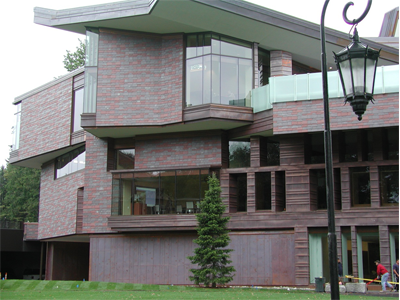 New construction consisting of slate and copper work. A very elaborate copper project. 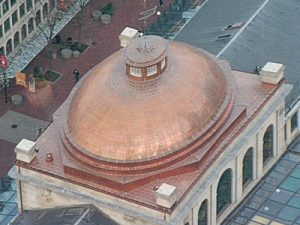 Due to the elliptical shape of the dome, each copper panel had to be individually fabricated in the field by hand. One of Gilbert & Becker’s largest single-ply projects. At over 340,000 square feet, it included the installation of more than 220,000 concrete roof pavers weighing nearly 3 million pounds. 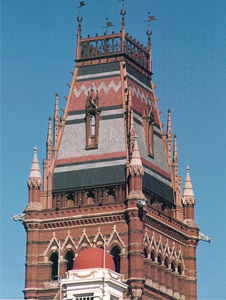 The tower, which burned down in 1956, required replicating decorative copper elements and slate patterns from old photographs. 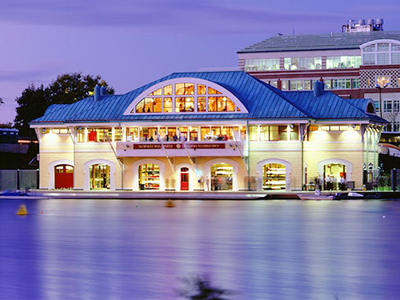 Gilbert & Becker was heavily involved in the preconstruction design and development. 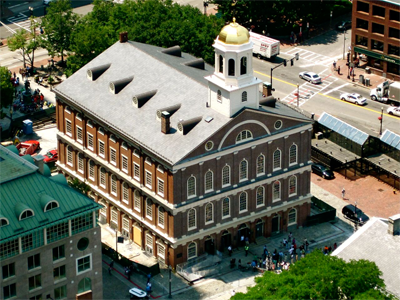 Complete replacement of historical slate and copper roof. 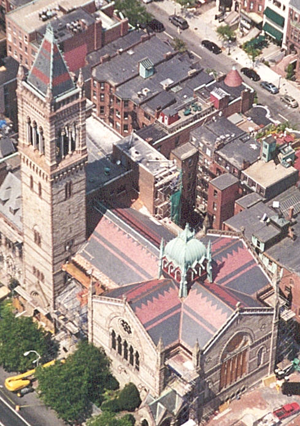 Complete replacement of the historical slate and copper roof matching original slate color and patterns. This project was new construction and included the installation of slate, copper and EPDM roofing. 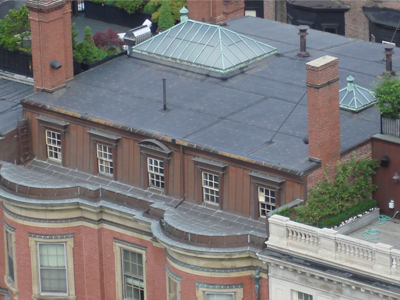 Mansard slate & copper restoration in the historic Back Bay. 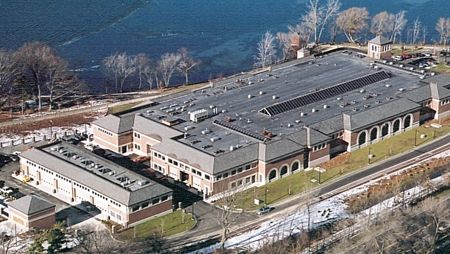 An unusually complex slate, copper and PVC roofing project. All exterior walls are slate and copper. 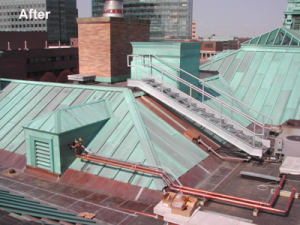 Total roof replacement including replacement of underlying roof substrate, new prepatinated copper panels and EPDM. A small but intricate tile project. 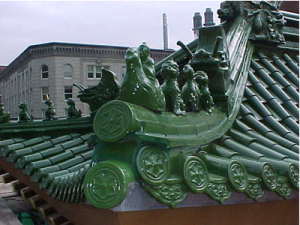 The materials were imported from Taipei. 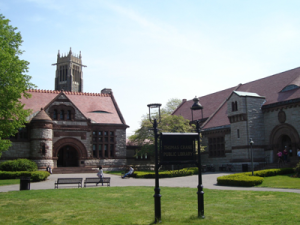 100% replacement of asphalt shingles, copper gutters and flashings. This project included duplication and full replacement of the painted copper roof and decorative elements. 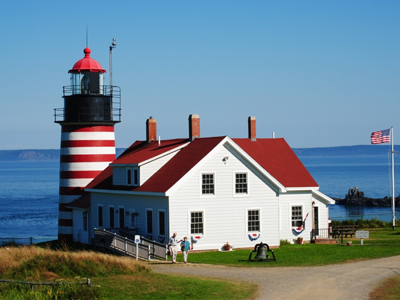 The lighthouse is located on the easternmost point of land in the continental United States. 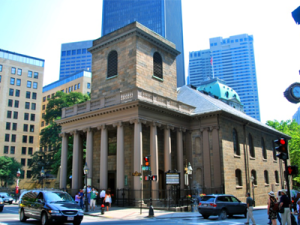 Built in 1688, this was Boston’s first Anglican Church, and is now the oldest in America. 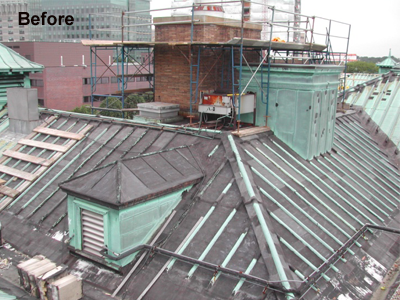 We removed an existing standing seam copper roof and installed new slate to match that of the original construction. Full replacement of all copper and slate roofing. 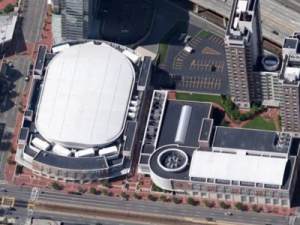 New construction consisting of PVC and EPDM roofing.